​The REPC model is intended for older children, adolescents, and adults and can be used in individual, couple/marital, family, and group formats. Although inherently humanistic, the model is intended to be integrative and trans-theoretical, thus enabling clinicians of all counseling philosophies to tailor the model to their unique approach. Our fundamental belief is that each client possesses an inherent tendency to seek meaningful relationships through which they can move towards growth and healing. Through relationships with horses, clients experience the security necessary to explore concerns on a deeper level and create new relationship patterns. The client's relationship with the horse serves as a microcosm of the client's world and subsequently a conduit through which he or she can gain insight. We believe in the capacity of the horses themselves to be self-directed and capable of assisting the client in gaining insight. As prey animals, horses are highly attuned to their environment (including the people in it). This high level of attunement enables horses to be fully present in every moment and model awareness and mindfulness. In addition, horses naturally embody certain qualities such as being authentic, nonjudgmental, and empathic thus enabling them to be true therapeutic partners. Our model is limited to groundwork in which structured activities, teaching, and horsemanship are de-emphasized. Instead, much of our work takes place in the pasture where the client has access to multiple horses who are permitted to respond naturally and organically in the moment. Equine-Partnered Play Therapy (EPPT) is the integration of horses into child-centered play therapy (CCPT). Garry Landreth's model of CCPT serves as the foundation for EPPT. CCPT is based on the belief that, unlike talk therapy for adults, children understand and make meaning of their world through play. In this way, play is a child's language with toys being the words that a child uses to express himself or herself. In EPPT, we strive to create a safe and permissive environment for children to express themselves freely. We do not direct a child's play, instead allowing them to be self-directed in determining the nature of their play and interaction with the horses. Many children have an innate curiosity about animals and prefer to interact with real animals rather than animal toys. In addition, the presence of the horse grounds the session in reality and can enable a child to feel more at ease and secure during a play session. The horse is capable of providing genuine feedback to the child and also serves as a medium through which the child may express feelings. One of the most important benefits to children in EPPT is the opportunity to both provide and receive nurturing while interacting with the horse. Using the principles of CCPT, we have developed a play area modeled after a traditional playroom with additional toys/materials for a child to use in connecting with a horse. 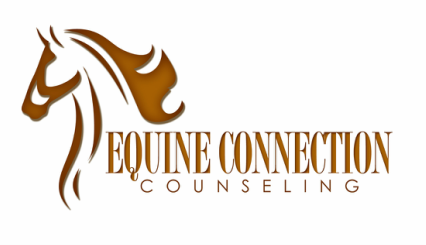 We have also added to the repertoire of traditional child-centered facilitative responses to include responses reflecting the horse's role as a group member and the relationship between the horse and child. Finally, as limit-setting can be challenging even in traditional play therapy, the integration of horses into play therapy adds additional layers of complexity and ambiguity. We have therefore developed methods to apply traditional CCPT limit-setting to the unique circumstances that arise in EPPT. What is the difference between REPT and EPPT?